Some persons were feared killed as Yoruba and Hausa youths clashed at Gida Panli, Kotomola, in the Ojota New Garage area of Lagos State. It was learnt that the clash broke out on Thursday after a Hausa youth reportedly beat up his Yoruba counterpart over a misunderstanding. Some area boys in the area were said to have avenged the assault on the Yoruba youth, leading to the clash which spilled over to Friday morning. It was learnt that several motorcycles were destroyed in the melee while commercial activities in the neighborhood were paralysed. 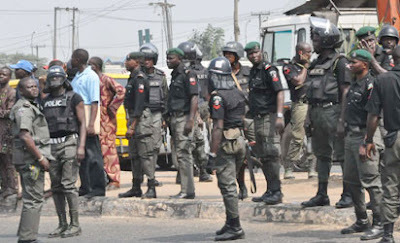 Police have been drafted to the troubled spot to restore normalcy.“There was a misunderstanding yesterday (Thursday) between a Yoruba and Hausa youth.“The Hausa guy reported him to some area boys in the area and they settled the issue. "Afterwards, he went to attack the Yoruba man and beat him up. That made the area boys to be angry. They attacked the Hausa man and the clash started. Traders had to vacate the area and many Hausa people had been chased away.“I learnt some people were killed, but I am not sure of the number yet. Police have been trying to restore normalcy,” a commercial driver in the area, Wale Ajayi, said. The Lagos State Police Public Relations Officer, SP Chike Oti, confirmed the clash.